Danny Noonan is a young caddy at Bushwood Country Club who has no idea about where his future will lead. His best chance at getting his life on track is to earn a caddy scholarship from Judge Elihu Smails, the owner of the Country Club. Al Czervik is a rude, and overly eccentric millionaire who has interests in purchasing Bushwood. 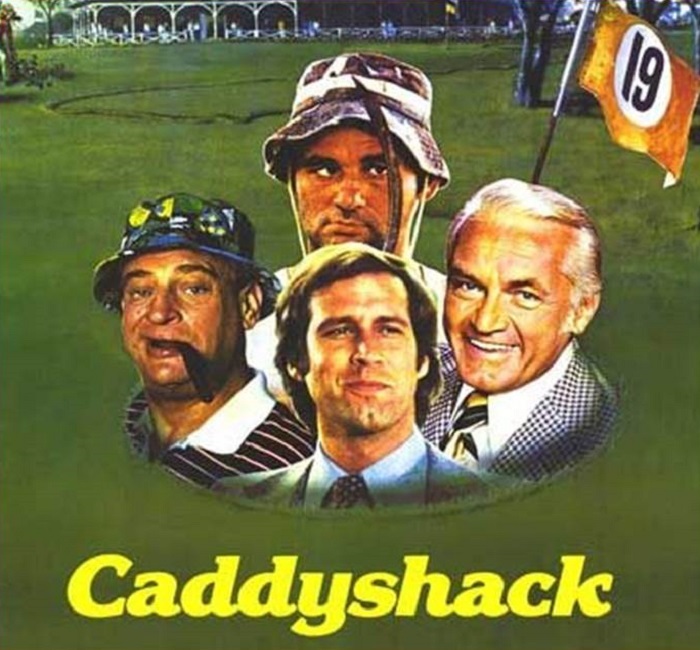 Judge Smails shows a quick disliking towards Al and soon there is a conflict between the Judge and Al, the Judge and Danny, and even between the Judge and Ty Webb the charming golfer who is slowly helping Danny figure out his real goals. On the outside of this is Karl Spackler the Golf Course Grounds keeper, who’s goal is eliminate a rampaging gopher who is chewing up holes throughout the golf course. Happy Hour begins at 6:30 PM!